Anyway, I still can’t believe it when I go to newsstands and see my magazine there, I’m also on the cover so you can’t miss it, and the lovely mag was powered by Living At Home and Editor-in-Chief, Sinja Schütte. She is such an amazing woman, I really love working with her and her brilliant team. I’ll tell you more about the magazine tomorrow in a post, (BUY IT HERE IN ENGLISH AND GERMAN), but many people have asked me about the rooms in my home from the magazine so I thought I’d create a post first for my living room and how to SHOP THE LOOK. It’s Christmas, and I want to wish all of you a happy, restful holiday time with your loved ones. We are enjoying peace and quiet today, and basking in doing a lot of nothing! Playing board games and cards, watching films and eating warm soup and homemade pretzels are part of our festivities. I want to welcome you today with a big hug, in case you are online for a moment, to see the beautiful corners of Anna Kvarnström’s Scandi-Boho home in Örebro, Sweden. I found it so charming and serene that I had to ask her to share it with all of us on decor8. Would you like to chill with me for a moment and see how lovely she makes her space, and after the photos, read about some of her favorite things? 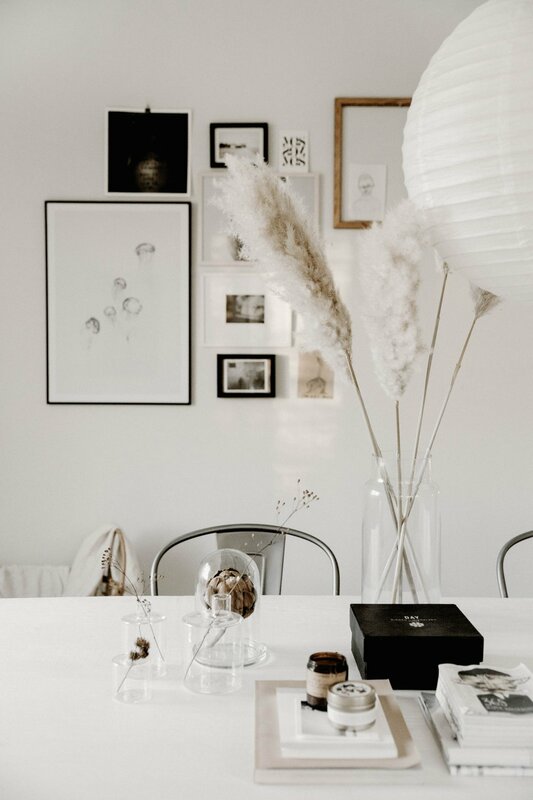 I found so many fantastic ideas for styling here and I particularly I like seeing the Rilona Amaryllis (which seems to be a big “trend” flower for Christmas at the moment in Denmark and Sweden, have you noticed on Instagram? 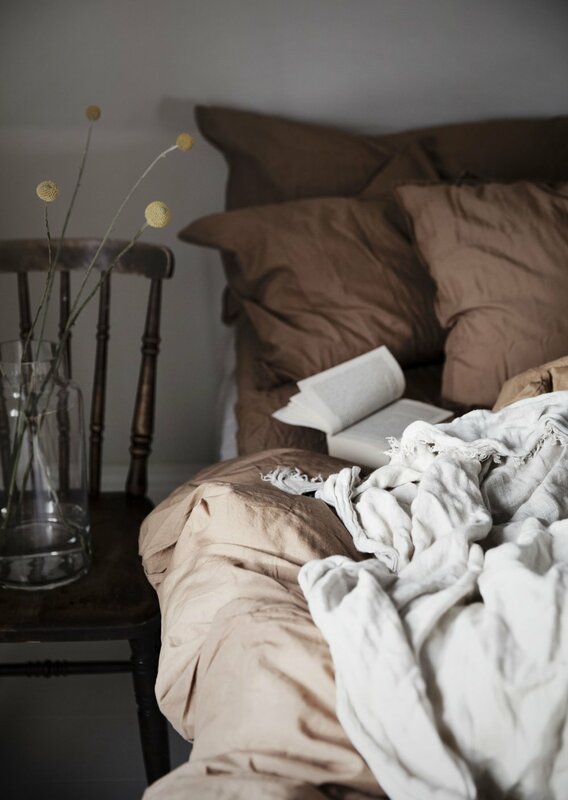 ), pampus grass (still trending), a small fir tree on a table… And dried flowers… It’s all so cozy and natural but most of all, approachable and something we all could both afford and have. When I see this home I instantly think of how easy she makes putting together neutral objects, though in fact, it’s not that easy at all! There is the lovely Anna, who owns her 160 m2 home and in addition to obviously being a talented decorator, blogger and stylist, is also a professional marketing consultant and photographer and runs the creative studio, Concept By Anna. If you want to find her on Instagram, she is over at @conceptbyAnna. A Scandinavian style with a bohemian touch. What does home mean to you, Anna? Home means almost everything to me. It's important to have a home that I enjoy. I love being at home, having friends over for dinner or just relaxing with my family. I love the that our house have such big rooms, high ceilings and that the house is old and charming. What are your favorite scents for the home? What are your favorite things to do at home? I’m a very creative person I love sitting with my children around our big table and do some painting. Baking is another thing that I love doing at home. I enjoy our fireplace and att good bok and I love having friends over for dinner. And what’s your favorite meal to cook? Anything that has to do with pasta! We love cooking when we having friends over for dinner I also like to do a nice table setting, fresh flowers and all that. New chairs to our dining table, the ”In between chair” from &Tradition. What is your favorite shopping city and why? London! I Love that city with all the beautiful buildings and old houses. I want an experience when I shopping, so the environment is very important! And finally dear Anna, what are your current 5 Favorite Instagram accounts that we should check out too? Thank you so much Anna, and happy holidays to you, your family, and my wonderful decor8 readers! I love an all white and black home, it shows such restraint to not use a lot of color and pattern. I’m always so amazed that people can live in a monochrome home - so much respect! That is why today, before Christmas and the explosion of red and green, I wanted to show you a minimalist Swedish home that you will absolutely love. It’s a new home, built in 2016, in Aneby, Sweden. Aneby is a small village in the south of Sweden and this home is owned by Anette Nilsson (known as @whitelivingetc on Instagram) and her husband. It’s 350 m2, and includes the office of their company. She has three children, but they are grown and moved out many years ago - so this lovely space is occupied only by two, and her pets as well. To Anette, home is a calming place where you can relax and socialize with friends and family. She loves her living room most for this reason. She really enjoys her kitchen too because cooking is a real passion, especially making meals for her friends and family. When she’s out and about, she loves to go shopping in cities like Copenhagen, Stockholm and Gothenburg. 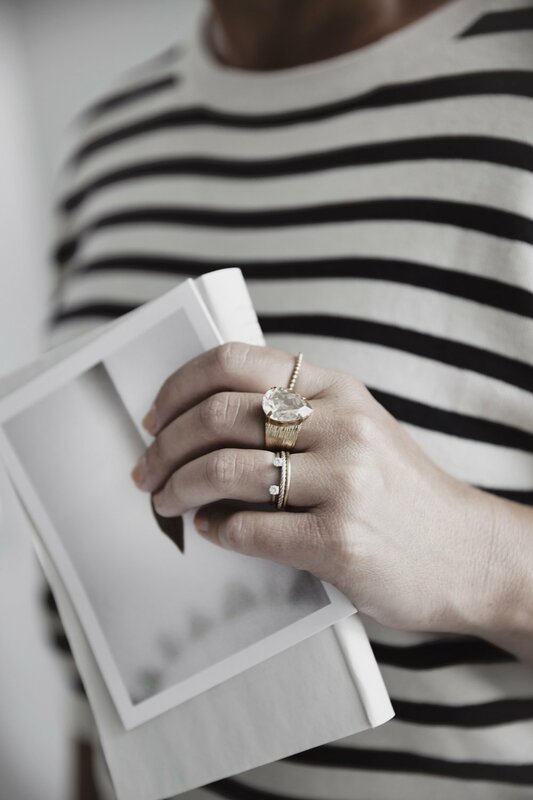 Anette has a beautiful home, I’m so inspired by her Minimalist Scandinavian style! Anette can be found on Instagram @whitelivingetc and her favorite Instagrammers at the moment are: @elisabeth_heier / @vittvittvitt / @saramedinalind / @saarmanche / and @mija_mija. And what about Anette’s home do you like most? Thank you Anette for joining us today on decor8 with your lovely home and happy holidays to you! 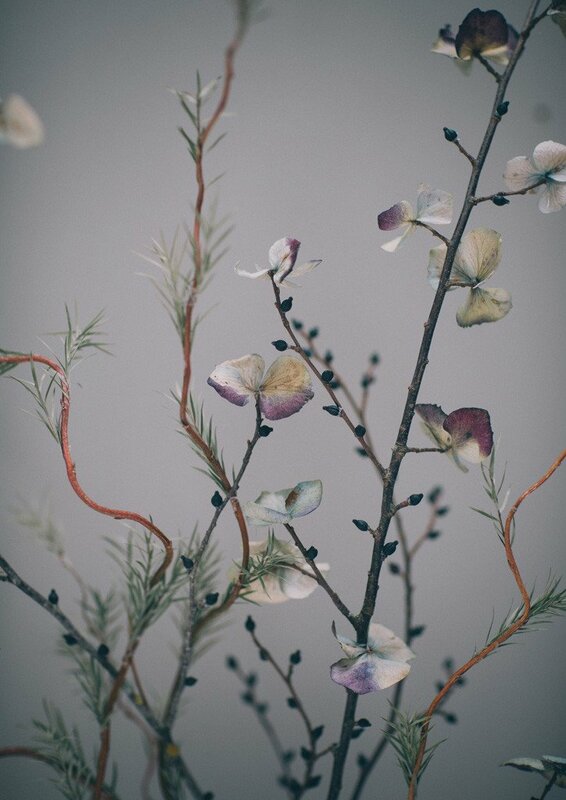 When I mention dried flowers, what do you picture? Be honest now, are those memories of dried roses that gathered dust on your grandmother’s bookshelf creeping to mind? Or, perhaps you’ve seen a bit of a revival happening on Instagram with that sweet whimsical look? Whatever idea you have about dried flora, I am certain that you’re going to be wowed by the work of Mark Antonia, who is pushing the boundaries of dried floral art! Plus, had you been at Domotex this weekend with Holly and her panel of professional bloggers, you'd have heard them all unanimously agree in their trend talk show that past season (also known as dead/dried) flowers are a micro trend at the moment. What has touched me the most the past few years in the industry, would have to be the momentum that the maker movement has had. I’d say that the surge in this area no doubt goes hand-in-hand with the slow-living phenomenon. I admit I do yoga, and I’m really working on being more in the moment rather than thinking about next week (anyone with me here? ), but most of all, I’m beginning to be aware of the small pleasures in my day-to-day life. One standout for me is enjoying my morning cup of tea in an earthy mug that was made by a favorite ceramicist of mine. When I look around my apartment, I can find other examples of that simple joy that a handmade, or small-scale object brings me. With that in mind, makers from Sweden, and when the opportunity arises, from abroad, will be my focus here on decor8 for all of 2018 and I hope you will enjoy discovering them here with me. So, back to dried flowers. 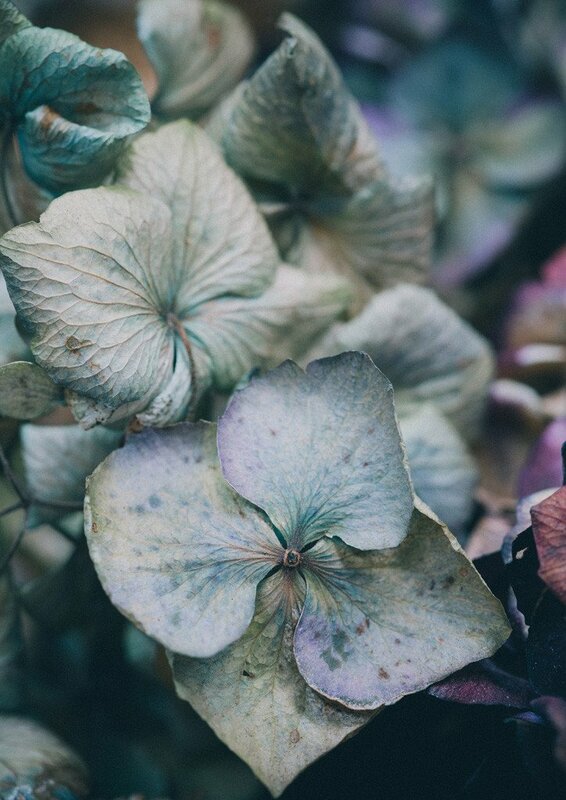 When I stepped into the Mark Antonia studio, in Auckland, New Zealand, I was naturally expecting to see a lot of dried flowers; but I never imagined the sheer volume that was actually there. The raw plywood was the perfect backdrop to display the array of drying branches and flowers that will soon see Antonia’s magic hand. Antonia De Vere works beside, Mark Seeney, (hence the namesake) whom she met at art school. The couple combines their talents with floristry and hand-poured candles by Antonia, along with custom industrial furniture, homeware, and retail fit-outs by Mark. I had been a fan of her custom arrangements for some time after admiring them in some of the coolest stores and commercial spaces in Auckland. I even owned a small one myself. There was just one small detail that I failed to notice in her minimalist creations; that all this time, she has actually been recreating Mother Nature. I'll explain what I mean. The idea struck Antonia when she saw the waste left behind from her fresh floral commissions. She experimented with the scrap flora she dried, until she found her signature minimalist style, treating each consignment as a sculpture. Watching her at work is simply mesmerizing. Each leaf, berry or bud is painstakingly clipped and glued onto a twig and done to such meticulous perfection, that you might be mistaken, like I was, and assume that the variety already existed in nature. That's what I meant when I said earlier that she is, "recreating Mother Nature". 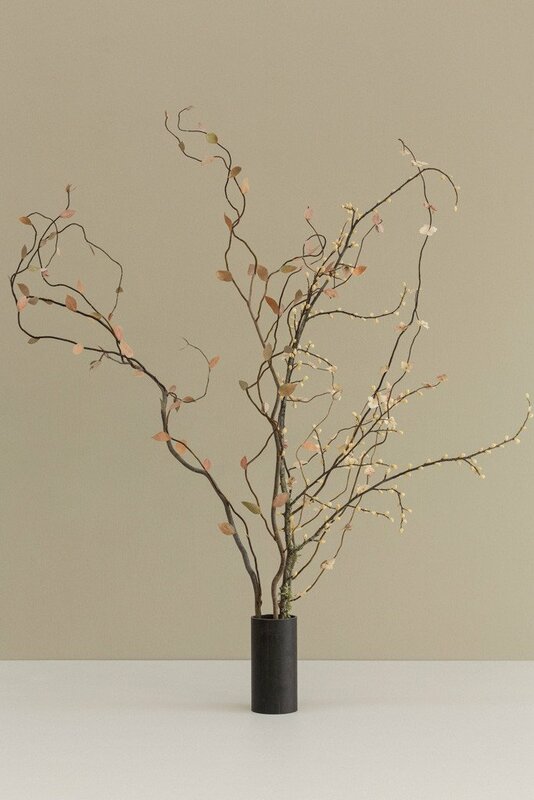 Antonia has taken dried floral art to a whole new level, suggesting an almost Japanese Ikebana feel. Not only do these arrangements look stunning on display, the bonus is that it stays looking like that for a long time to come.